Hello, everyone! How has your weekend been? Today I’m having a rest day after yesterday’s 8 mile walk & 8 mile run. Clearly, I must be bonkers……….. are you? Have a crazy week! Hehe, love it!! Happy Monday!! XOXO!! Haha love it! 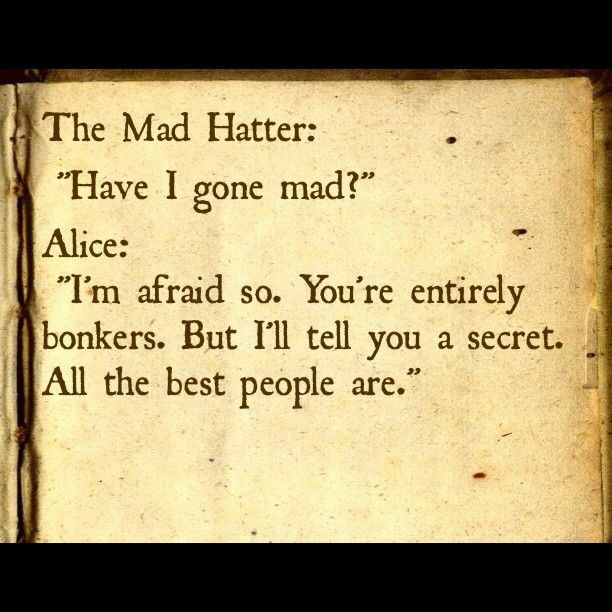 I think I’m most definitely bonkers! One of my favorite quotes from Alice. The relay sounds great! You so crazy! I just showed Alice in Wonderland to the kiddos the other day. They thought it was all quite mad! Aww they’re just the right age to be fascinated by it!